I don’t think I have said it enough time that I love traveling by trains, it is by train travel one gets to see the Middle India or the real India. The little joys of train travel can only be experienced and not explained. One of the new small fun I enjoy is getting down on random train stations where the train stops due to some reasons. It could be due to a red signal, or it could be technical halt or whatever. Many times these stations come in night and I don’t even notice them. But whenever such a station comes during day and my train stops there, I love to get down and click the name of the train station. 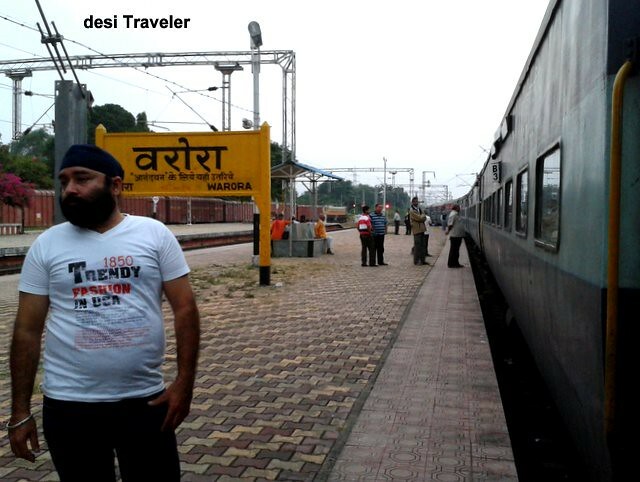 Just to have my bragging rights that ” desi Traveler has been there”.. well it is not being there in true sense, but it is a fun activity any way. I get to stretch my legs, see what is happening on that remote station ( a lot, I can assure you). 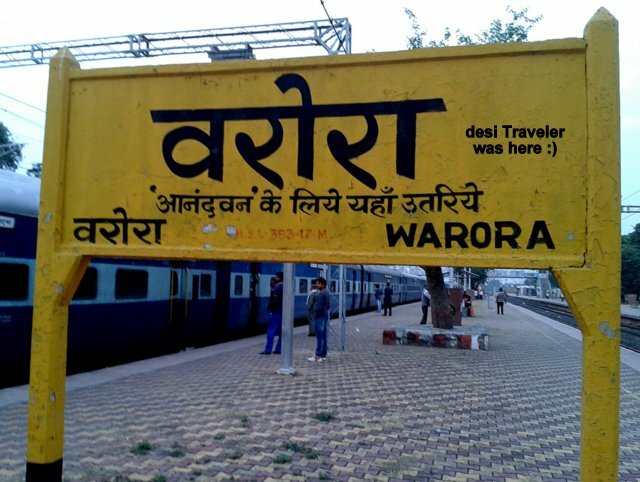 So here are two pictures from Warora ( Google it to find more about this small station somewhere in India). You will be surprised to see a place you have probably never heard of ( at least I had never heard of), has so much going on. Indeed some of these small towns in India have more population that big cities in US or Europe, such is the power of Middle India. When I come back later I try to find out a bit more about the place, if it has any historical significance, any famous temple etc. I don’t think any one of us, including me will every visit any of these places. But is travel only about visiting places? Is is not about learning about places that passed in a split second on your radar, which you will never visit again but a moment, just a moment of your life was spent there. Neither that moment nor that place will ever come back, but it was part of you in that moment in time and space. What do you say? 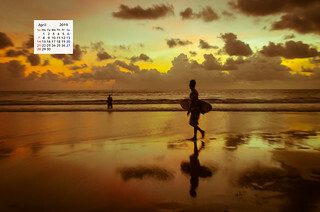 Do you remember any remote place where you have stopped for a minute and clicked a picture or two just for memories? How about sharing them here. Feel free to share this post with your friends on Facebook, Google and Twitter etc. Would love to hear from you in the comments section below. Your passion for travelling is admirable. Never heard of this place..
thanks Rachit…appreciate your stopping by.. I mistook it to be a post on Anandvan!. Anyway, I am sure you will visit soon and rite about it. Getting down in stations and feeling the air of rural India is a lovely experience which, we women do not do often. I am a little jealous. However, I make it a point to go near the door and peep out. Hi Pattu Mam: Only after getting down from the train I realized this station leads to AnandVan, a place I want to visit one of these days.. Thanks for this useful information about Warora Railway Station. Re: Warora- did you get a chance to see Baba Amte’s Anandwan, which is literally only 2-km from warora station? Anandwan is what I call the happiest place on earth! If you missed it, do try to visit. It’s unlike any other place you’ve ever seen. 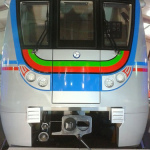 Hi Neeraj: I could not go to Anandwan, as I had just stepped out of train to stretch my legs… may be in future… thanks..